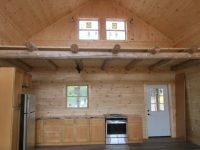 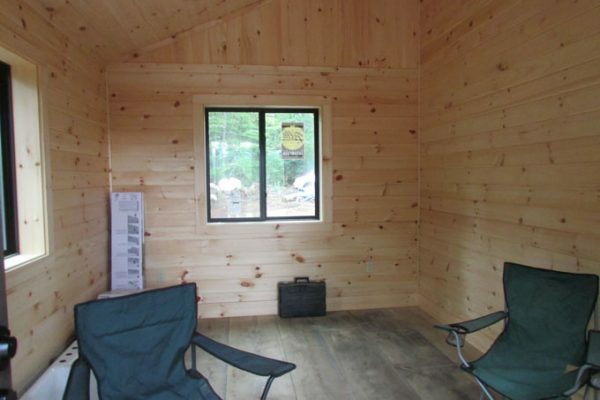 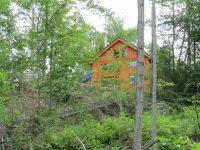 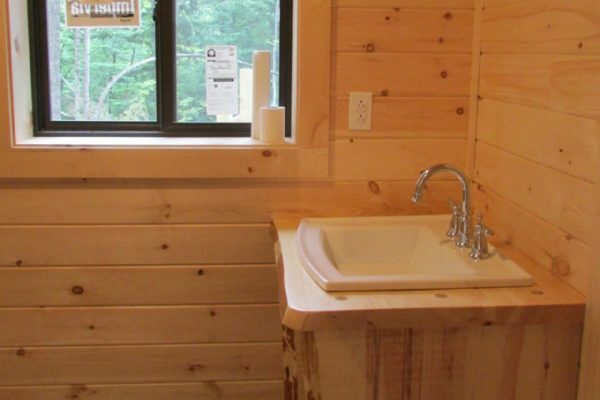 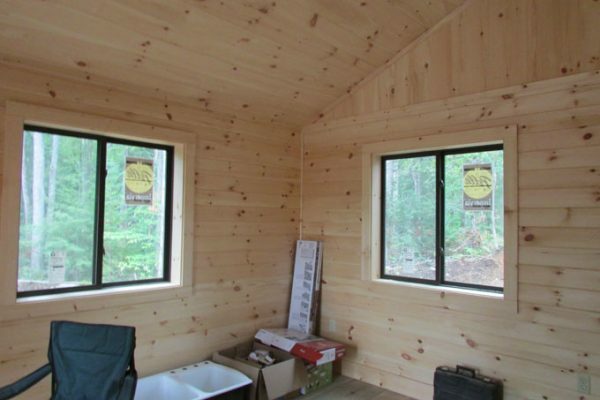 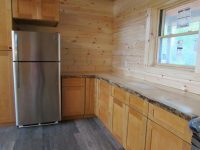 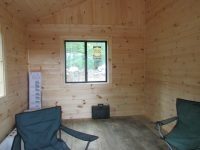 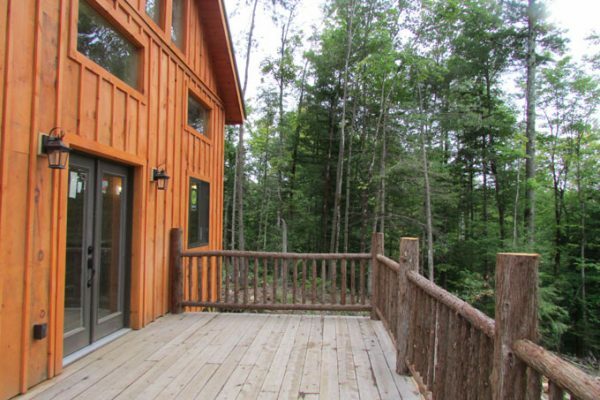 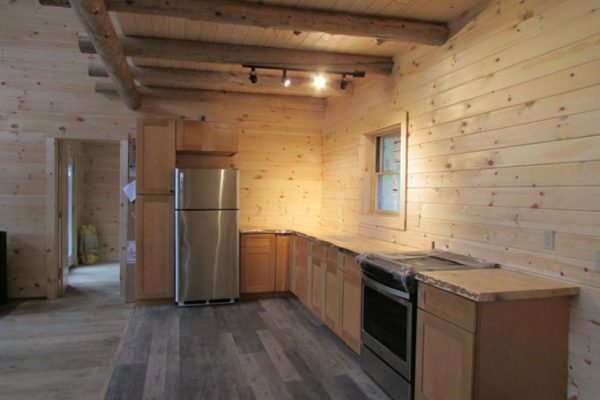 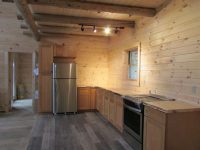 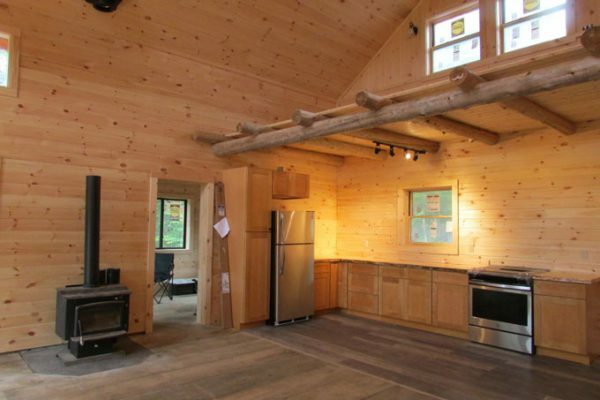 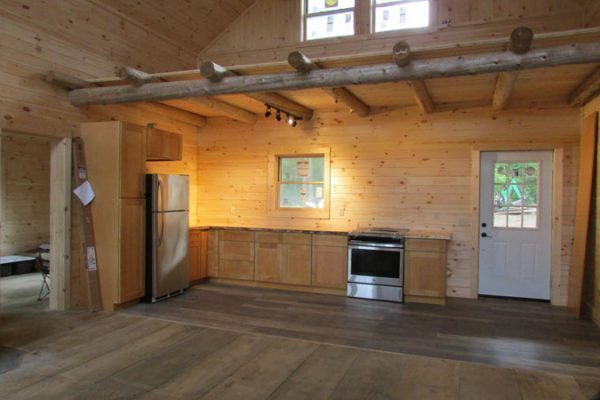 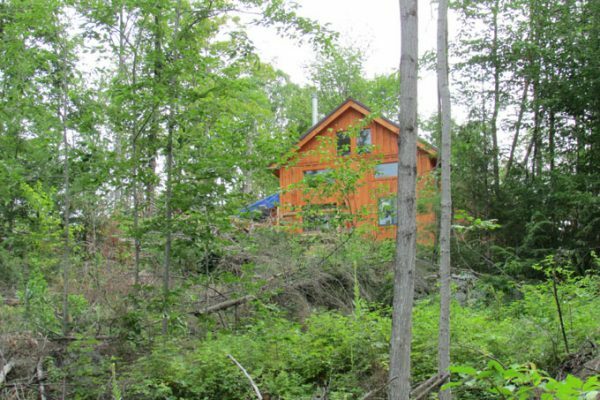 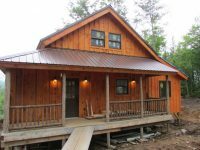 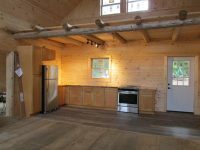 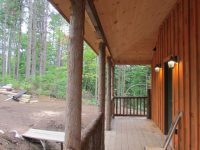 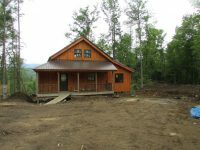 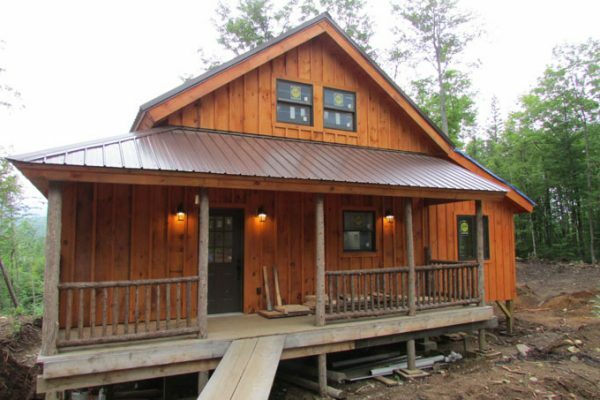 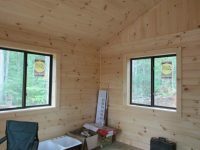 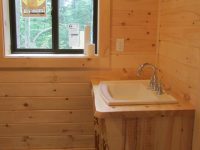 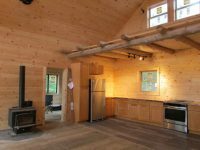 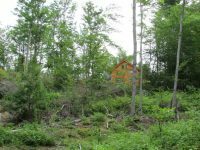 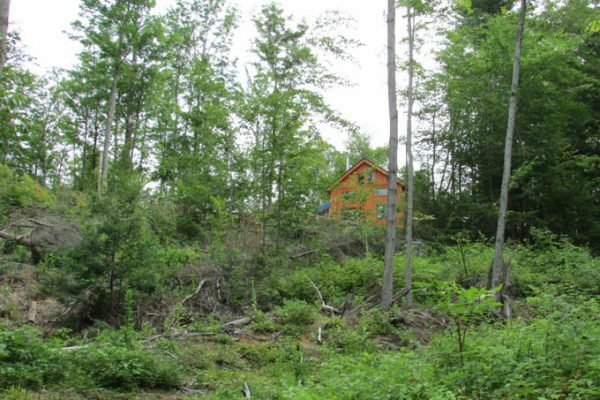 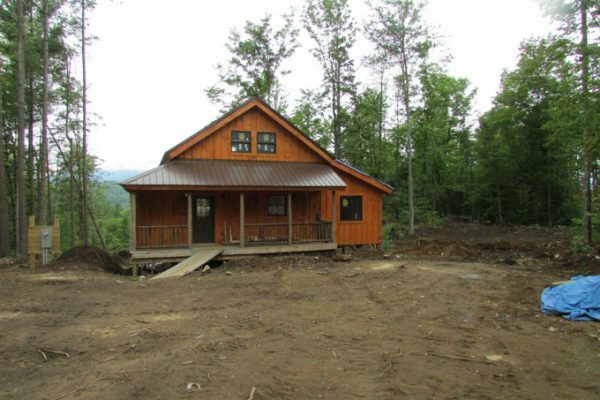 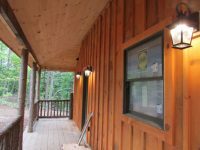 Just built and fabulous, this adorable Adirondack Cabin is the perfect seasonal getaway with its remote and very private location on approximately 9.3 acres of land. 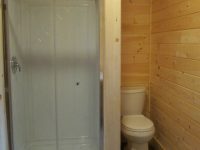 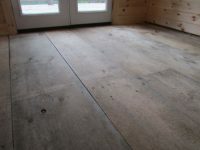 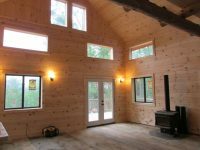 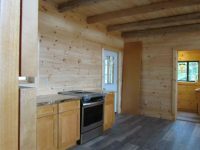 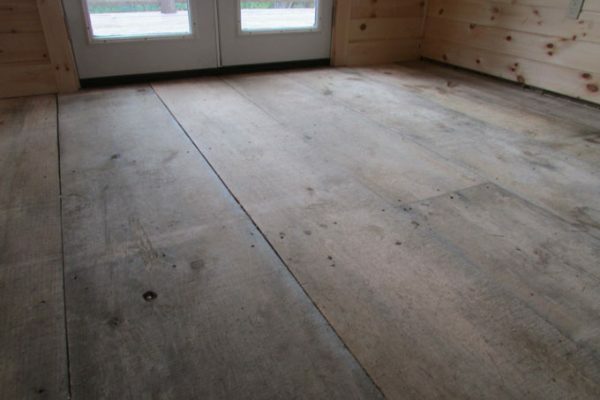 The interior walls are knotty pine with beautiful, wide-plank, hand-sawn rustic floor boards in the living room and bedroom. 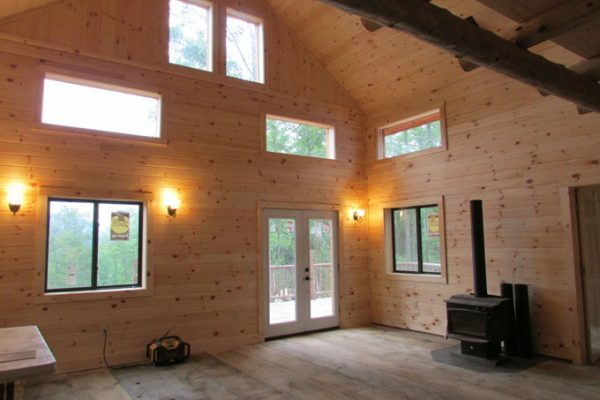 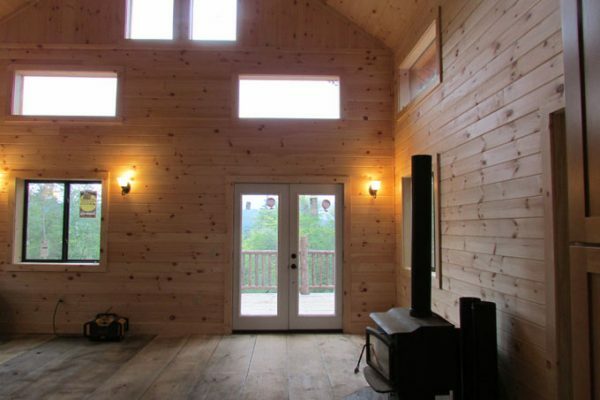 Centrally located wood stove provides warmth on chilly days. 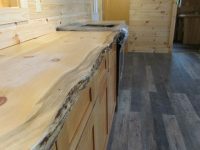 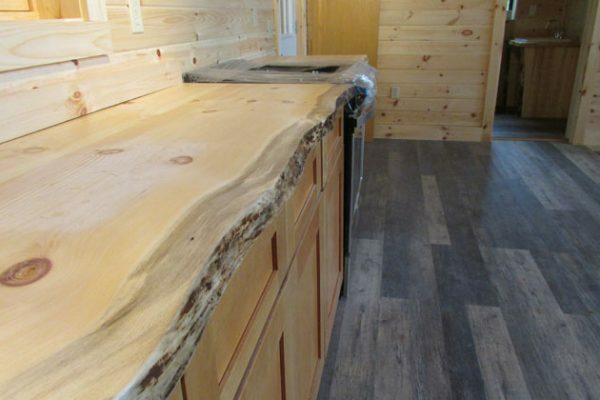 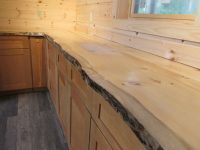 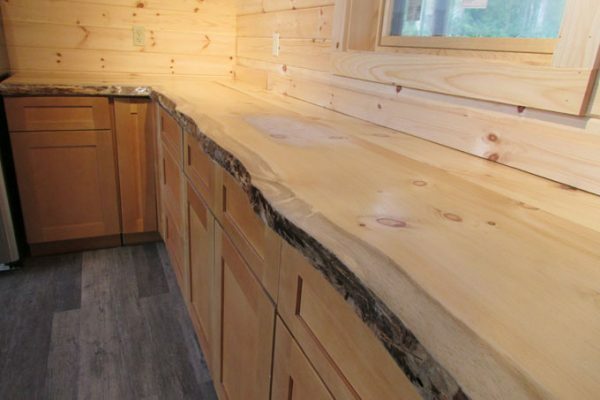 Lovely live-edge wood counters in the kitchen with stainless steel appliances. 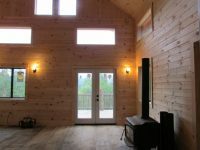 Loft for additional sleeping space. 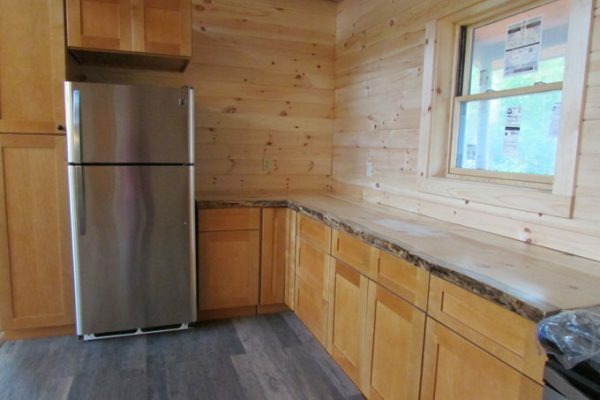 Approximately 422 sq. 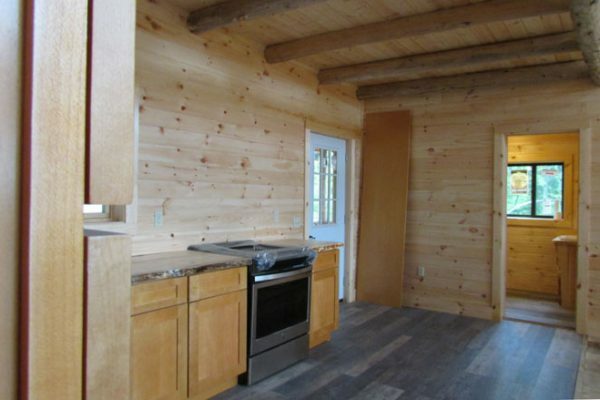 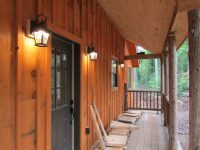 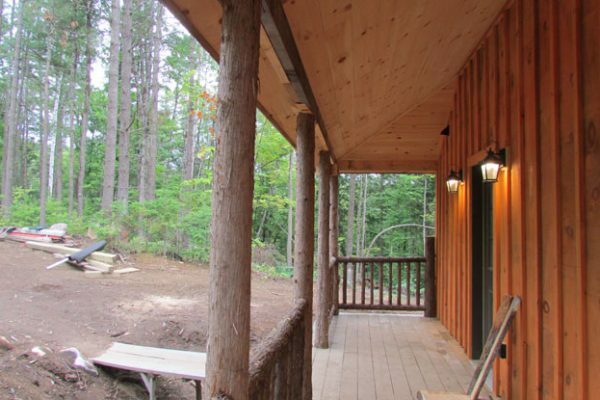 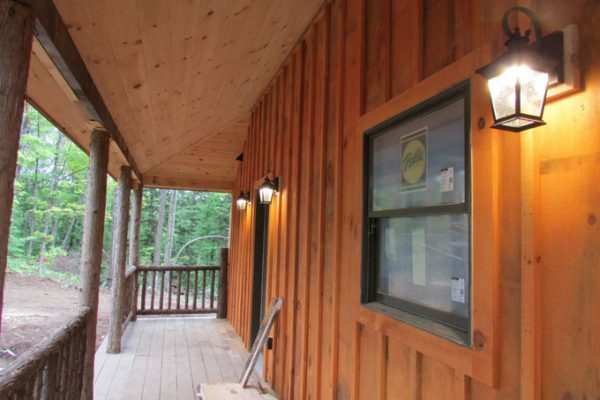 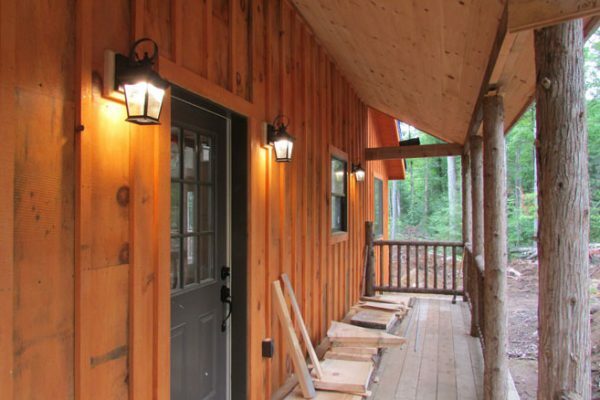 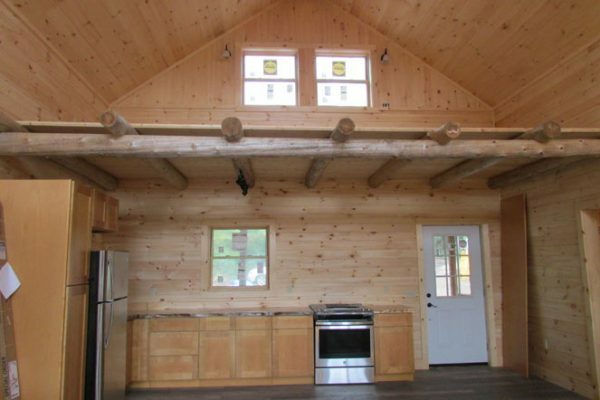 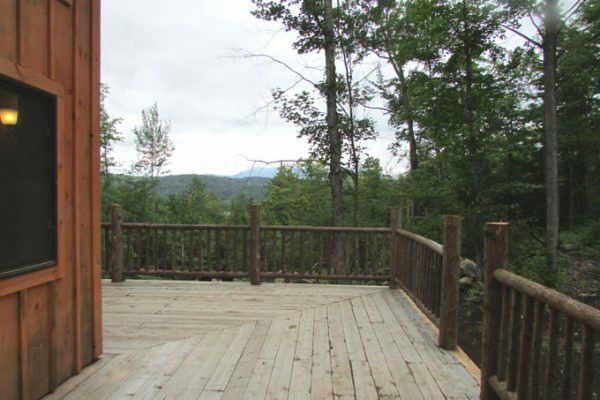 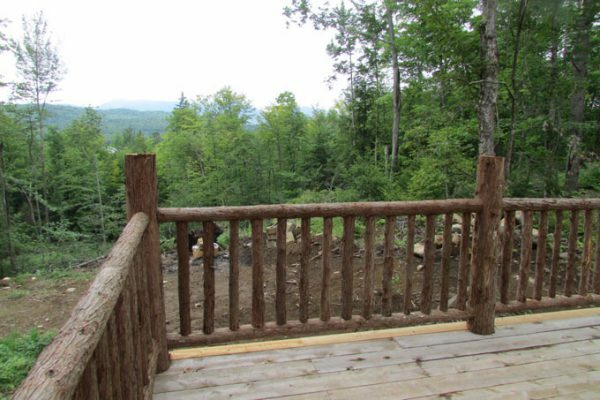 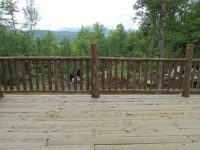 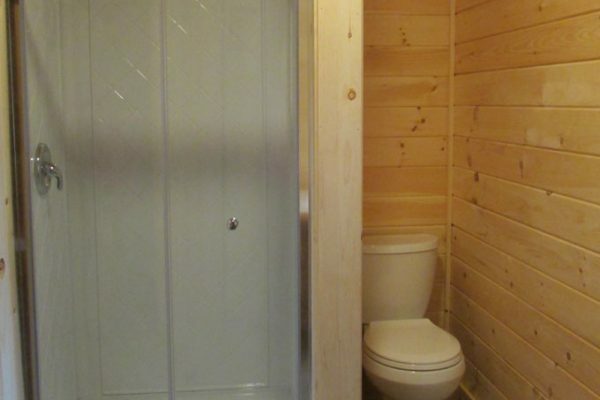 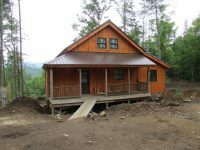 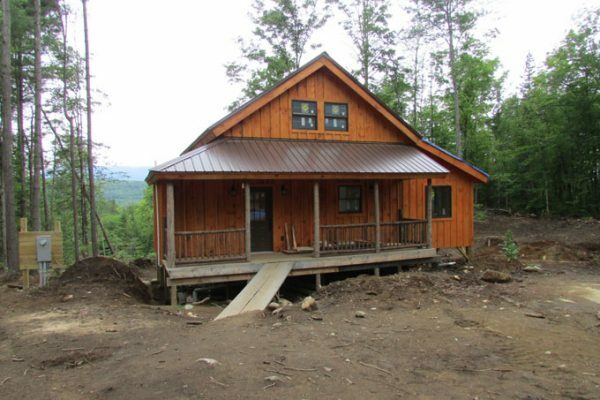 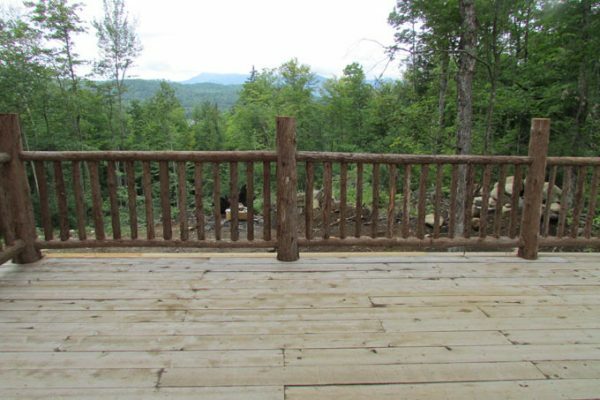 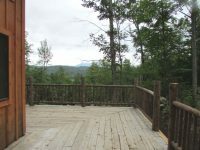 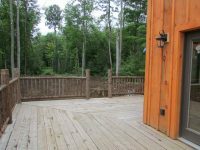 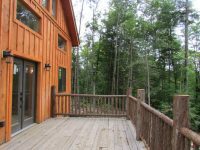 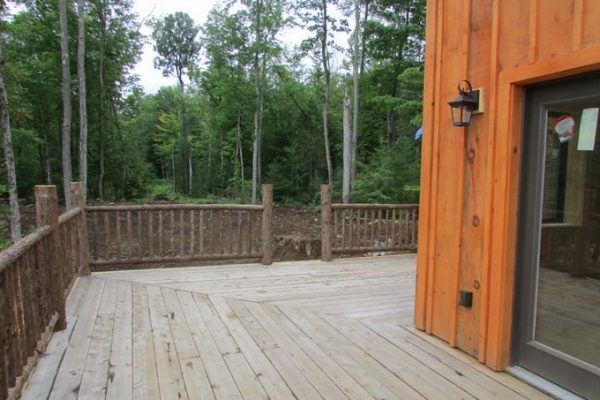 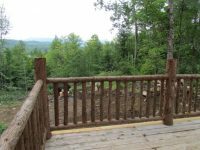 ft. of deck/porch space, complete with log railings, add to the rustic charm of the cabin. 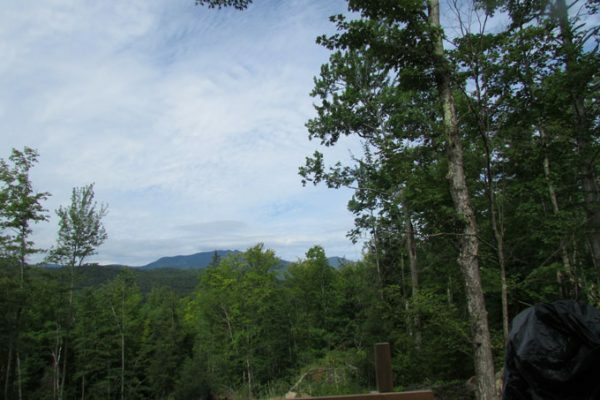 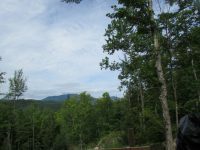 Great views of Giant Mountain, deeded shared access to Lincoln Pond and a short drive to hiking trails and Keene complete this perfect package.